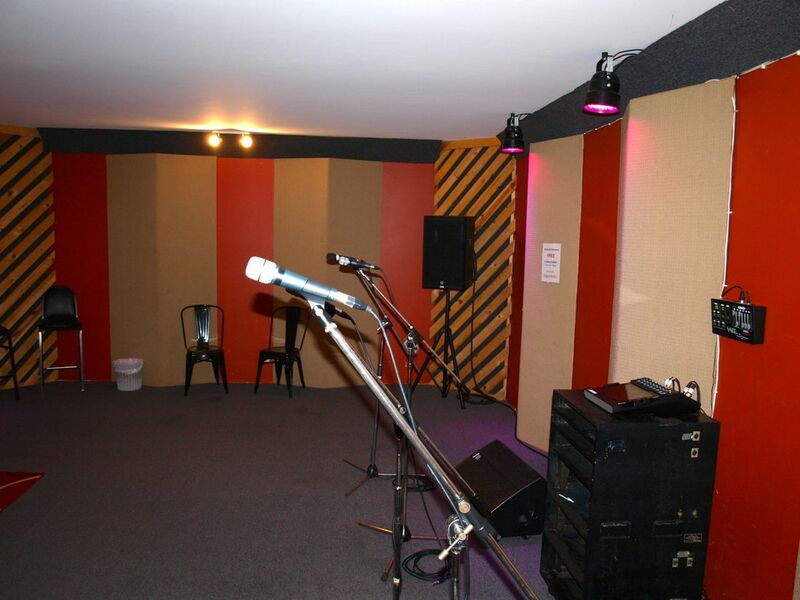 Stage Door provides a high quality, up-market rehearsal facility for the discerning musician. 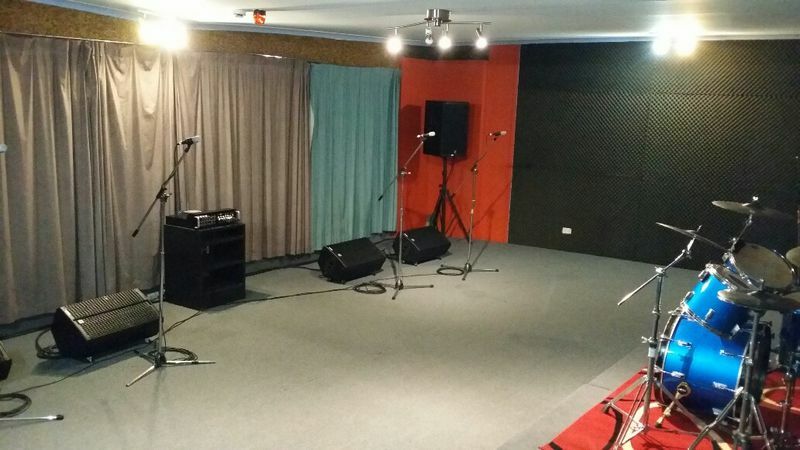 We cater to the Australian and International elite artist, right through to the young up and coming bands of the future. The key to our success is that we deliver nothing but the very best service. Simply put, we do not rest until you are totally satisfied, ensuring an outstanding and productive result for you. 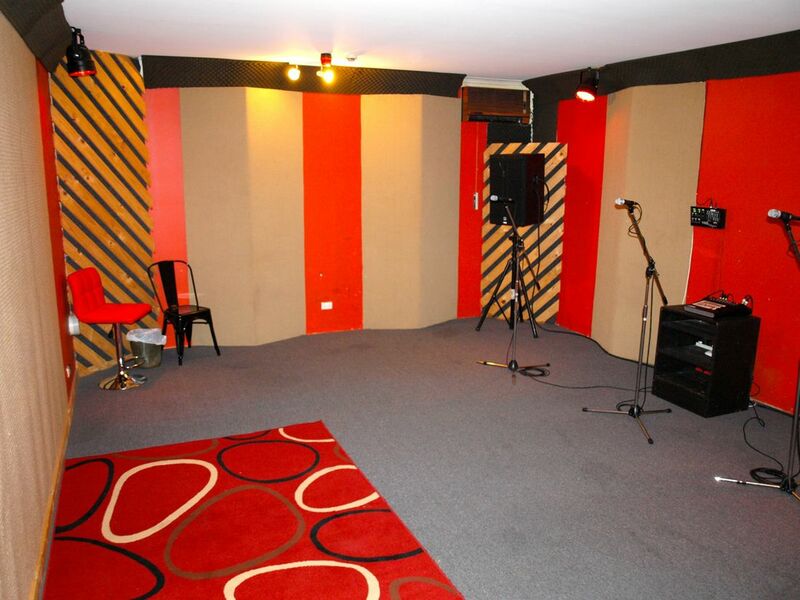 We are not the cheapest studio in town but we know we provide the best value for money. The friendly, creative and extremely comfortable environment we provide ensures you achieve your goals more efficiently and effectively. At Stage Door, you will always be greeted with a genuine smile and a sincere welcome. 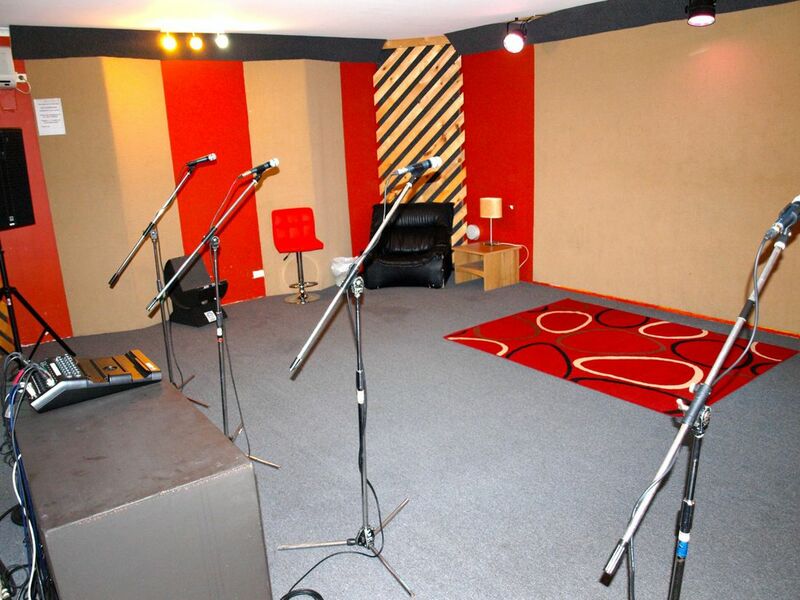 Studio prices vary from $15 per hour to $49 per hour, depending on studio size, the time of day and type of act. Contact us now for your special rate. If you are shopping on price alone, you will always be able to find cheaper. 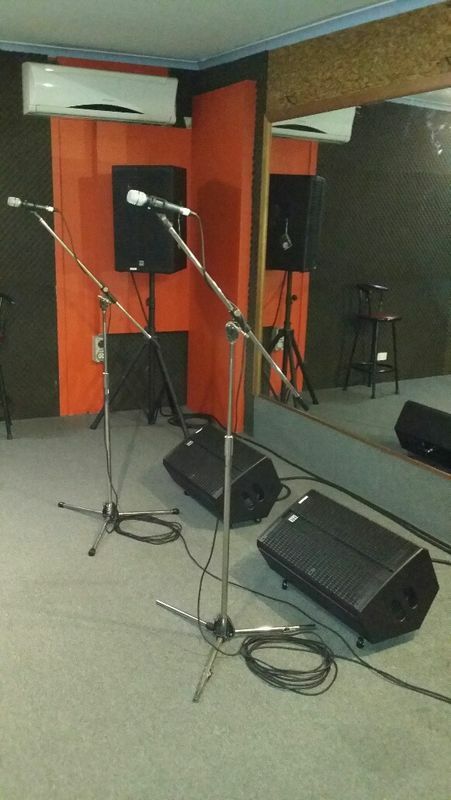 But if you're serious about your rehearsal and getting the best value for money, we will not be beaten. With over 30 years experience, we know how to deliver the best product and service. 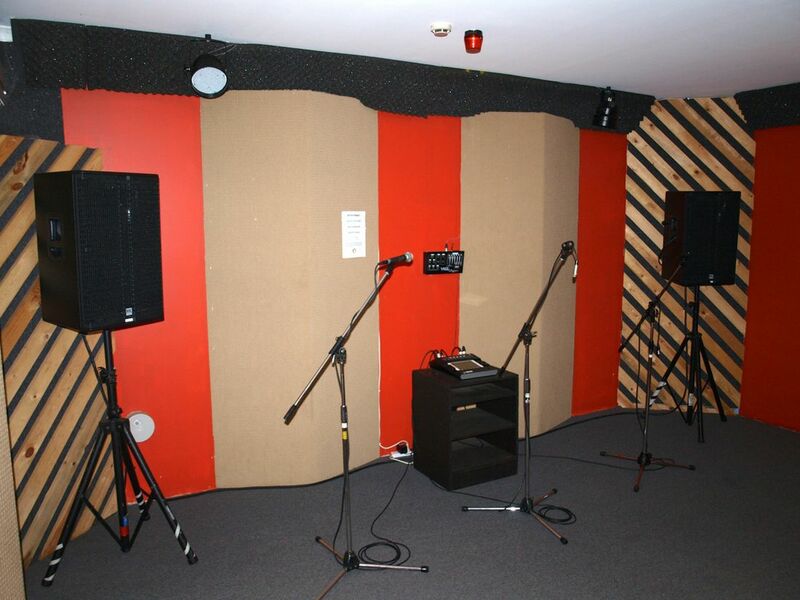 Our studios get rave reviews for sound and our staff for their friendly down to earth attitudes and technical expertise. 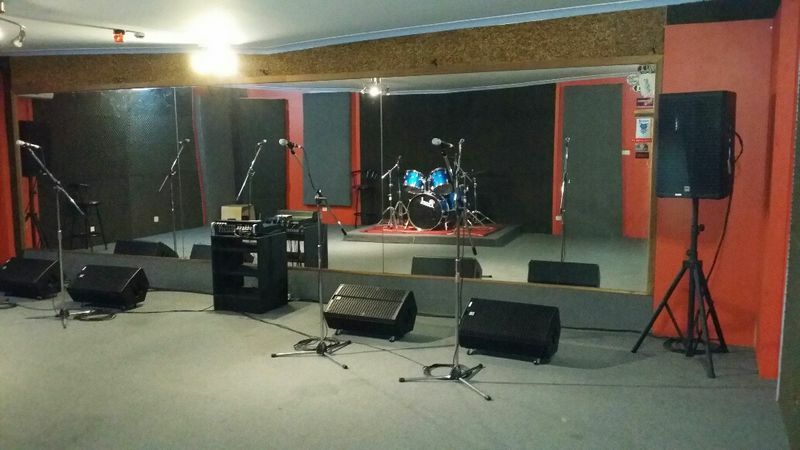 So don't waste time and money elsewhere in a dark, dingey, smelly rehearsal room!! Come to Stage Door for a true professional experience and result, for just a little more. 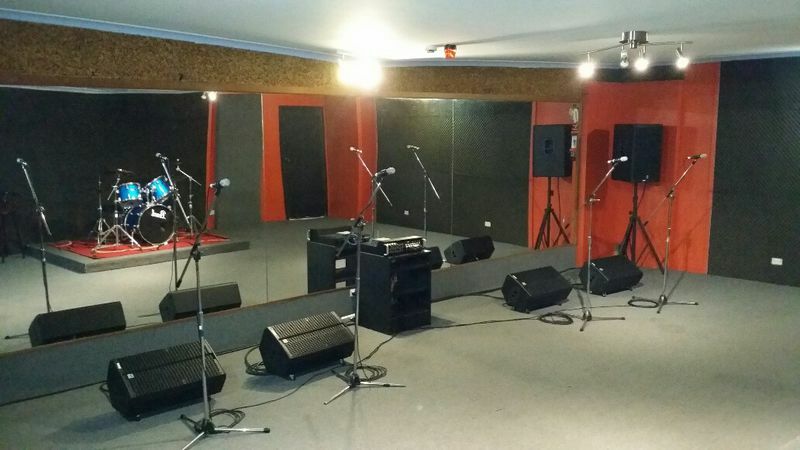 The rehearsal facilities operate between 9.30am and 12 midnight weekdays. Weekend times vary depending on studio session bookings. We also operate most public holidays. 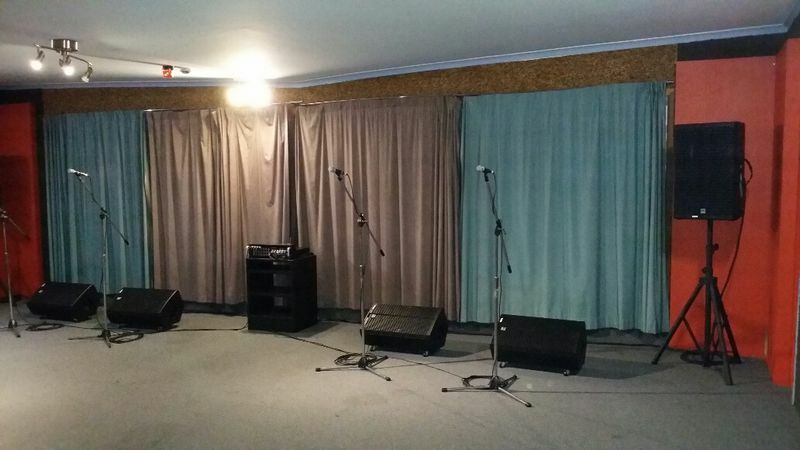 With prior arrangement, 24-hour access and bookings are available. C.D. player and tape deck available. If more than 6 Mics required , POA and subject to availability. 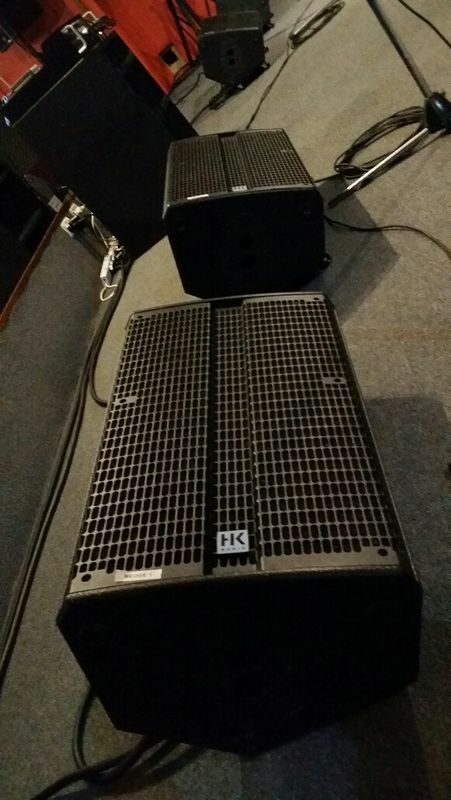 If more than 6 Mics required, POA and subject to availability. If more than 4 Mics required, POA and subject to availability. C.D. player and tape deck available. 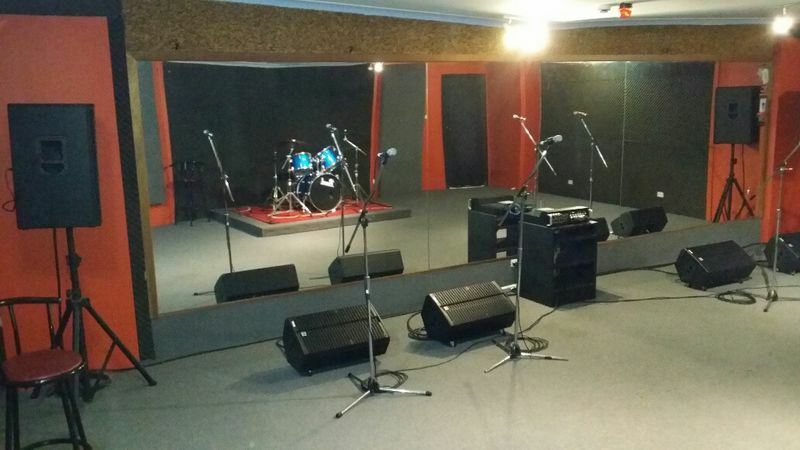 Full wall-length mirror, 8’ x 8’ drum riser. Stage Door Studios are now equipped with incredible mood lighting. Do not under-estimate the amazing creative vibe achieved with brilliant ambiance. 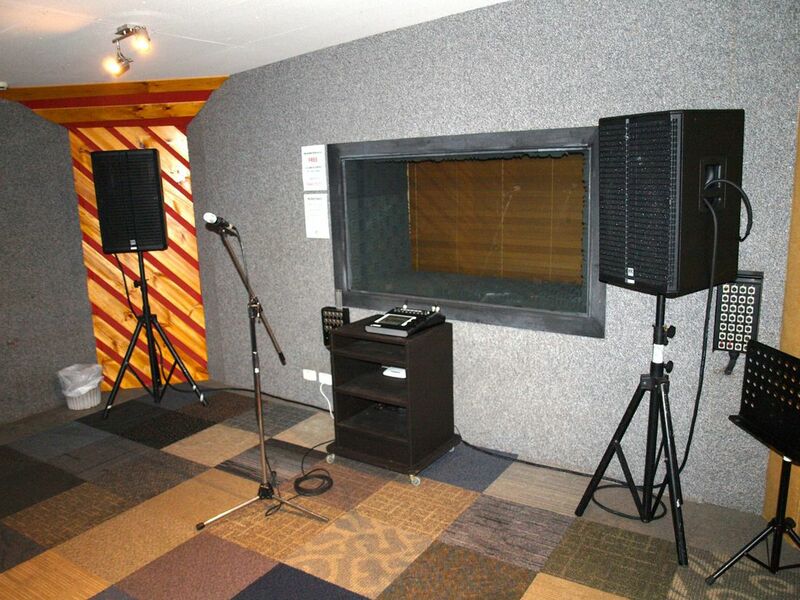 Studio 3, shown below, with some of the many different mood sets available in all studios. 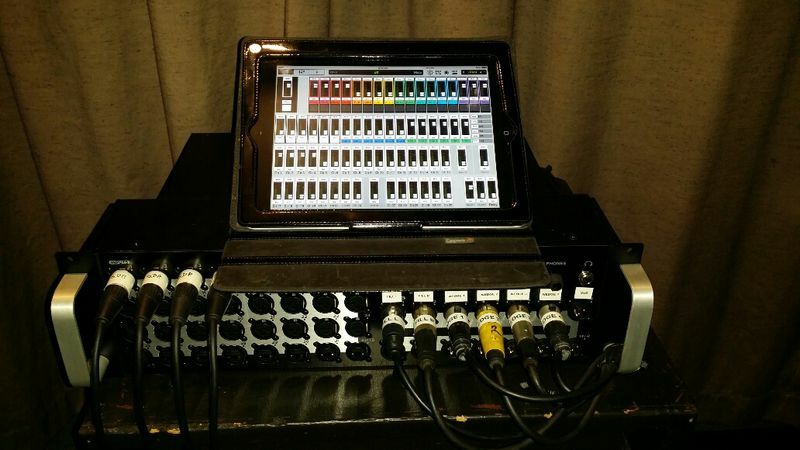 Stage Door now has two compact and completely mobile recording systems available for you to effortlessly record your rehearsal progress. 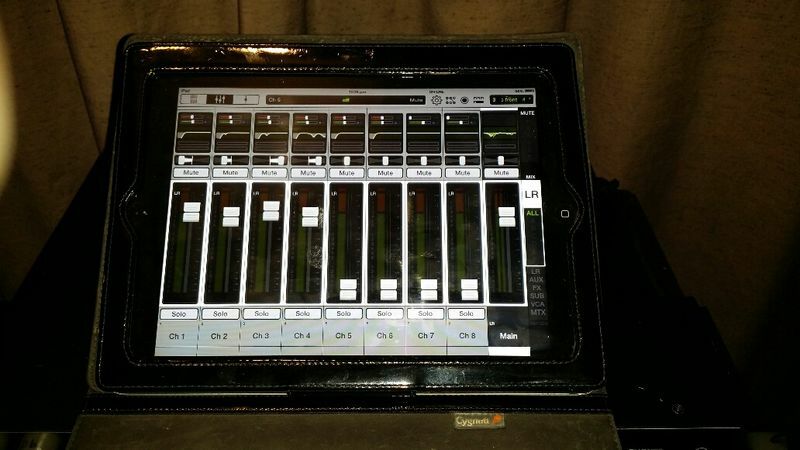 We use a Pro Tools loaded PC with M-Box system (providing a stereo file) delivering an incredible result for such compact and easy-to-use systems. There is some set-up required so you will need to book a system in advance. Same day booking not available. Also, we happily set up and provide this facility free of charge, but in most cases are unable to supply assistance for operation. 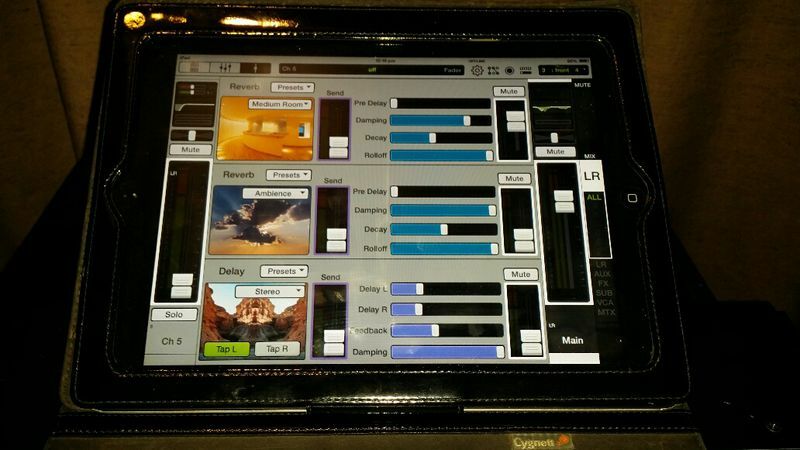 The systems come with easy step by step operating instructions but not an engineer. We look forward to hearing your results. No credit will be extended unless by prior arrangement. Any credit extended is strictly on a 7-day net basis. 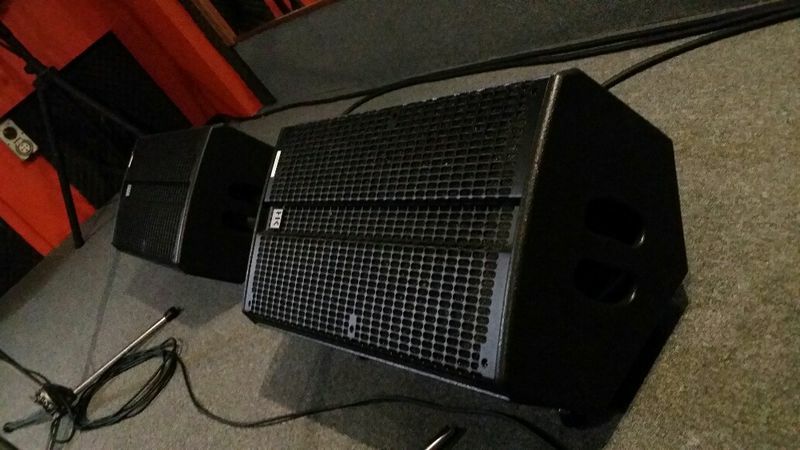 Late cancellations and "no shows" leave rehearsal time unfilled. This is inconvenient both to Stage Door Productions and for bands wanting bookings. Clients are therefore requested to give as much notice as possible of any cancellation. Cancellations within 48 hours of the scheduled booking time are subject to the full fee. Cancellations within 96 hours of the scheduled booking time are subject to the full fee. Clients cancelling bookings will be issued a cancellation number to verify time and date of call.